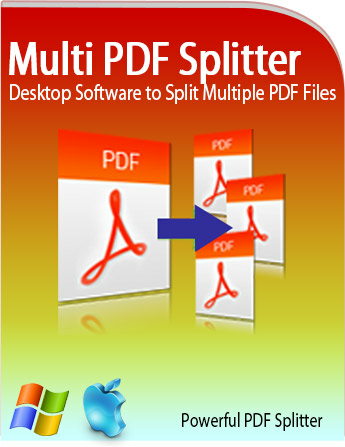 Software to split multiple PDF files in seconds! Multi PDF Splitter is a desktop program that will quickly split multiple PDF files into single PDF pages on your Mac or Windows computer in literally seconds. The software allows you to split large amounts of PDF files of any size — securely on your desktop. Manage large PDF documents by creating single PDF files for each page. Files never leave your desktop computer and are completely safe! Drop your PDF files into the application's main window and click Split - that's it!